Observation of Heroes' Day used to be a solemn celebration, however, nowadays this day is more official and restrained, than earlier. 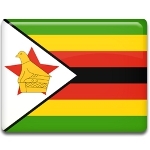 The main event is held in the capital of Zimbabwe, Harare, where fallen heroes of the struggle for independence are buried. People lay wreaths to the graves of their relatives. President of Zimbabwe visits the ceremony of wreath laying and talks to each family of the dead heroes. Similar ceremonies are held in other cities of Zimbabwe, but they are attended by local authorities. Young people organize a traditional march from the center of the city to the cemetery, singing revolutionary songs, as they march. Various bands, children's and veteran's choirs organize free concerts on the streets of the cities. Dance groups perform traditional dances injukwa and itshomani.